Why Do I Need Surgery for my Fracture? Recently I had a patient call the office after she fell and sprained her foot. She saw an instant bruise and felt significant pain and was seen within a few hours of the injury. During her exam, I found that she had severe bruising of the foot and pain with minimal touch. After reviewing the xrays taken in our office with her, I explained that she needed surgery as soon as possible to repair the broken bone that she had in her foot. She had fractured her 5th metatarsal which is the long bone on the outside of the foot. Surgery was performed that day and she should recover without complications. So how did I decide she needed surgery? We look at several things when making this decision. Is the fracture a complete break or partial? Meaning, does the break go all the way across the bone from cortex to cortex (or edge to edge). If the break goes all the way through, it can make it more unstable which reduces healing potential. Does the bone appear to be in anatomic alignment? When examining the xray, we are looking for the affected bone to look exactly like it should in length and size, except it may have a large crack in it. Sometimes a small shift can be tolerated in healing. If it has shifted significantly in any direction, surgery is required. Does the fractured area have a large gap? We prefer that two pieces of broken bone be touching each other directly. If there is more than a 2 milimeter gap, it requires surgery. Is the bone or adjacent joint dislocated? If the bone or the joint is at all dislocated, then surgery is required for larger bones. Often if treated early enough a dislocated toe can be relocated in the office under local anesthesia, but that is if we see it within 24-36 hours. Anytime after that, the surrounding soft tissues start to tighten up around the dislocation, making it almost impossible to repair with local anesthesia only. In the case below, you will see that this fracture is complete in a butterfly pattern with dislocation and significant gapping and shortening. This requires ORIF or Open Reduction, Internal Fixation of the bone. This picture shows what the fracture actually looks like. You can see an instrument in the center of the actual broken bone. The fracture was repaired with a plate and several screws and is now back to normal length and alignment. One the xray, you see the bone in better alignment, now with the ability to heal without significant deformity or long term pain. This patient will be non-weightbearing for 4-6 weeks in a walking boot or cast and then gradually progress to walking in the boot, then a tennis shoe. If you have an injury and are unsure if you broke a bone or not, do not wait to be seen! Click here to request an appointment! The sooner you are treated, the faster you can recover! I broke my lateral ankle on Aug 7th while on vacation out of state they said Fractured Fibula. The bone showed broke in half. When I got home, I could not get a orthopedic appointment until weekes later, soonest one is Aug 25th. I have splint on the right foot but I cannot walk on crutches, I am bearing weight on that foot. I should have had surgery and seen earlier by a doctor. What do I do. For whatever injury that you have, it is always best to have yourself seen by the doctor, and get treated the soonest possible time. This is highly recommended especially to people who have undergone fractures in bones, that sometimes it is not evident physically but there is unbearable pain. I have read articles that patients who waited for a while to undergo surgery for a fracture, have worsened their condition, thus calling for a more intricate (and more expensive surgery). Thus, like any other discomfort, it is just good to be treated right away than be sorry for a lifetime. 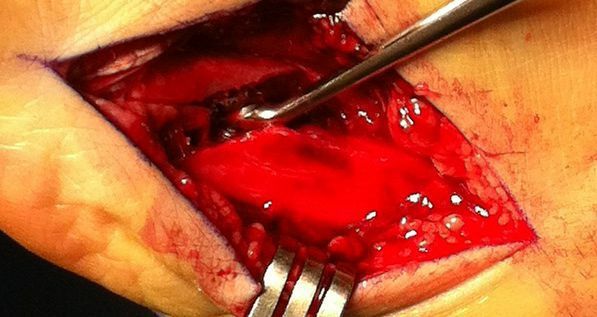 Nice informative article regard Surgery for Fracture. Fracture treatment is often with a cast, but sometimes treatment of broken bones requires surgery. It seems to be really an informative post. It require great care to decide whether surgery is needed or not. Isn't it? Thanks for sharing this informative post.